Tricia and I attended the ALA Midwinter Convention in Dallas, where we stuck around to attend the ALA Youth Media Awards announcements live on Monday morning. It's always fun and interesting to hear the announcements instead of having them filtered through Twitter or Facebook feeds--and this time it was especially fun, when my recently signed client Duncan Tonatiuh's name was read out as the recipient of the Pura Belpré Illustrator Award, for his book Diego Rivera! Duncan was also recognized by the Belpre committee with an illustrator honor designation last year for Dear Primo. Much of the focus at Midwinter is on the work of the awards committees. Some of them are open, and you can sit in and listen to discussions, and there is an awareness of them that hums through the exhibit hall and the events of the convention. That hum continues well into the week, as the committees' final choices are not all announced Monday morning. Now that the lists are up, we are so pleased to have even more books on even more lists! Author of The Tiptoe Guide to Tracking Fairies and Nowhere Girl Ammi-Joan Paquette's Hullabaloo!, an action-filled celebration of sesquipedalian words, to Daniel Nayeri of Clarion, by Erin Murphy of Erin Murphy Literary Agency. 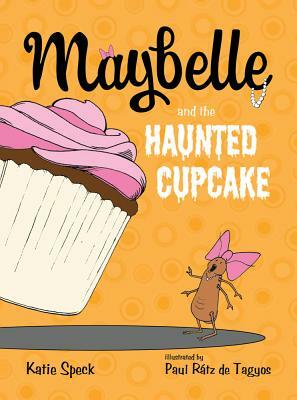 1) This will make four picture books on shelves or under contract for Joan, at three publishing houses, plus two middle grade novels and a YA novel at two more publishing houses. WOW, Joan! Another Star for Grave Mercy! Fiction and history coalesce in a rich, ripping tale of assassinations, political intrigue and religion in 15th-century Brittany. When the pig farmer who paid three coins to wed Ismae sees the red scar across her back, he cracks her in the skull and hurls her into the root cellar until a priest can come “to burn you or drown you.” The scar shows that Ismae’s mother poisoned her in utero; Ismae’s survival of that poisoning proves her sire is Mortain, god of death. A hedge priest and herbwitch spirit Ismae to the convent of St. Mortain, where nuns teach her hundreds of ways to kill a man. “We are mere instruments of Mortain…. His handmaidens, if you will. We do not decide who to kill or why or when. It is all determined by the god.” After Ismae’s first two assassinations, the abbess sends her to Brittany’s high court to ferret out treason against the duchess and to kill anyone Mortain marks, even if it’s someone Ismae trusts—or loves. Brittany fights to remain independent from France, war looms and suitors vie nefariously for the duchess’ hand. Ismae’s narrative voice is fluid and solid, her spying and killing skills impeccable. LaFevers’ ambitious tapestry includes poison and treason and murder, valor and honor and slow love, suspense and sexuality and mercy. Just about a month ago, we welcomed a new member into the EMLA community: recent VCFA grad Melanie Crowder, who won the 2011 Houghton Mifflin Harcourt Prize for her gorgeous and lyrical eco-fable WATER. Told in three voices, WATER is set in a near future shaped by drought and water wars, following a boy, a girl, and her dog (yes, and it works beautifully!) as they struggle for survival in their parched land. Both evocative and heart-wrenching, this middle-grade novel grabbed hold of me and wouldn’t let me go. And now I’m thrilled to be able to say that I was not the only one to think so: This week, WATER received a publication offer from the super-savvy Reka Simonsen at Harcourt. 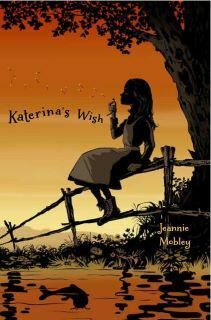 Melanie has accepted the offer and her debut middle-grade novel will be coming out sometime in 2013. Hooray, and many congratulations to Melanie! The civil war that Digger helped start (in Starcrossed, BCCB 10/10) hasn’t yet reached the city of Gerse, where she has returned after her sojourn with a group of nobles, hoping to regain some semblance of her old life as a thief. She’s having trouble finding her feet, though, as the death of her boyfriend and partner, Tegen, has marked her as bad luck among her suspicious underworld friends. The nobles, however, know her worth as a devotee of Tiboran, the god of those who must lie for a living, and they arrange to embroil her in yet another of their intrigues. This time she is drawn into a murder investigation; the sweet, good-natured Durrel Decath, who saved her from the Greenmen on the night of Tegen’s death, has been accused of murdering his much older, ill-tempered wife. At first more than willing to help clear his name, she soon begins to wonder if her faith in him is misplaced, as the evidence she gathers becomes more and more confusing and seems in fact to point to his guilt. Digger’s feisty spirit and clever wit, limned as it is with a deep vein of grief and loneliness, render her an irresistible character as she navigates the social and spiritual eccentricities of her world. A subtle but extremely effective parsing of that world according to its various gods allows strange dealings between rich and poor, law-abiding and not, as Digger the thief, for instance, blends in as easily with the nobles as she does with other thieves and actually finds herself feeling guilty when she tells the truth. Familiarity with the first book is absolutely essential for re-entering Digger’s life with its complicated connections and loyalties, but the re-immersion is every bit as engrossing and satisfying as the initial plunge and the breathtaking surprise ending will leave readers aching for the next installment. With its compelling and complex characters and political intrigues, this series will especially appeal to devotees of Turner’s Queen’s Thief series. Pat Zietlow Miller inks deal for her second picture book with Schwartz and Wade. Pat Zietlow Miller may still be a relative EMLA newbie, but she certainly knows how to start a new year off with a bang. Just three months after the sale of her first picture book, SOPHIE’S SQUASH, I’m delighted to announce that another book from Pat is going to be shared with the world! Filled to bursting with the warm, rich language that is her trademark, SHARING THE BREAD is a lyrical celebration of food and family and togetherness as seen during one down-home Thanksgiving dinner. 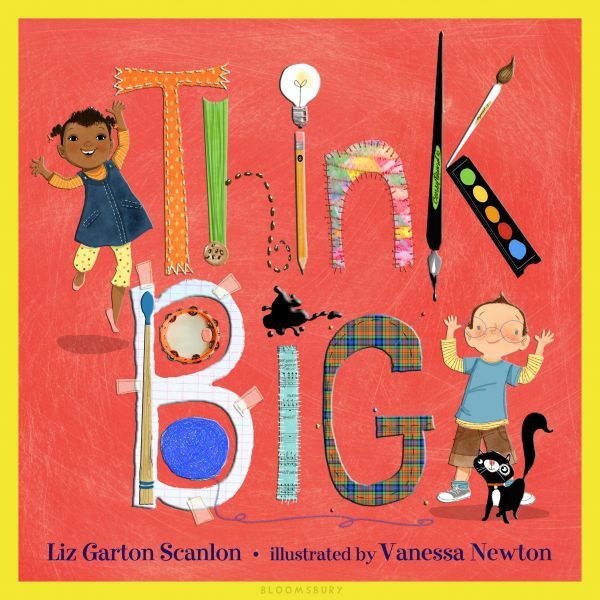 It’s moving and mouth-watering and is absolutely destined to be a read-aloud classic. For those who like to take a peek behind the scenes at the inner workings of a book deal, don’t miss the detailed write-up that Pat has included on her blog here. SHARING THE BREAD doesn’t yet have a solid pub date—I can only imagine the gorgeous illustrations that will go with her amazing text!—but it will also be published by Schwartz and Wade, with Anne Schwartz at the helm. The holidays are over and New Year's resolutions have been made! Resolved to read more in 2012? Here's a couple of titles to help you with that. Darkness Falls by Cate Tiernan is the second book in the Immortal Beloved series (IMMORTAL BELOVED book #1) about a girl torn between two worlds all while trying to choose true love, published by Little, Brown. Too Princessy! 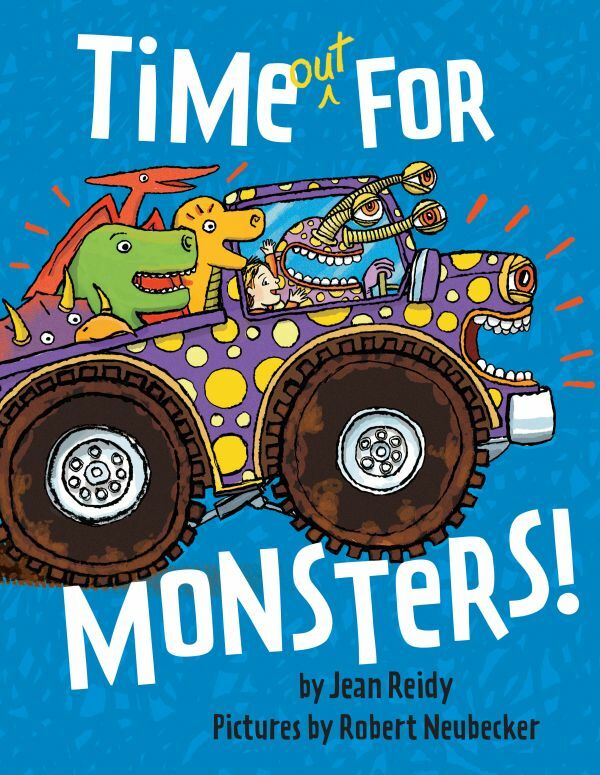 by Jean Reidy continues her TOO . . . series (TOO PURPLEY! ; TOO PICKLEY!) and is about a girl learning to use her imagination while it rains outside, published by Bloomsbury. Star #2 for We've Got a Job! 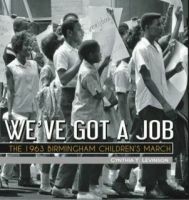 "This chronicle of a pivotal chapter of the civil rights movement weaves together the stories of four black children in Birmingham, Ala., who were among some 4,000 who boycotted school to participate in a march to protest segregation. Before recounting that event, during which almost 2,500 young people were arrested and jailed, first-time author Levinson opens with intimate profiles of the four spotlighted children (drawn from interviews she conducted with each of them), along with descriptions of Birmingham’s racist laws, corrupt politicians, antiblack sentiment—and activists’ efforts to fight all of the above. Readers also get an up-close view of such leaders as Rev. Fred Shuttlesworth, who founded the Alabama Christian Movement for Human Rights; Rev. Martin Luther King Jr., who advocated a nonviolent response; and James Bevel, a preacher who rallied the city’s children and teens. Yet the most compelling component is Levinson’s dramatic re-creation of the courageous children’s crusade and the change it helped bring about in the face of widespread prejudice and brutality. Powerful period photos and topical sidebars heighten the story’s impact.﻿"
And a middle grade and chapter book! Go ahead, PEEK! Yes, a bonus round. We're so excited about all of our titles, we can't resist showing you a few more sneek peaks due out from later in the year—picture books—all getting ready with anticipation for a summer launch. Ready. Set. (No, not Go . . . yet!) Peek!